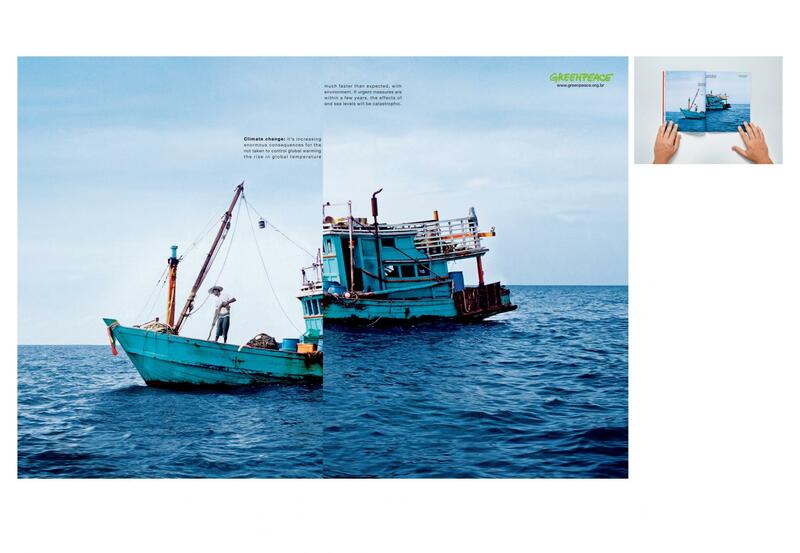 Greenpeace Brazil‘s 2009 magazine advertising campaign focused on climate change has been included in the D&AD Annual 2010, adding to its success at the Award Show and silver at the 2009 FIAP Show. 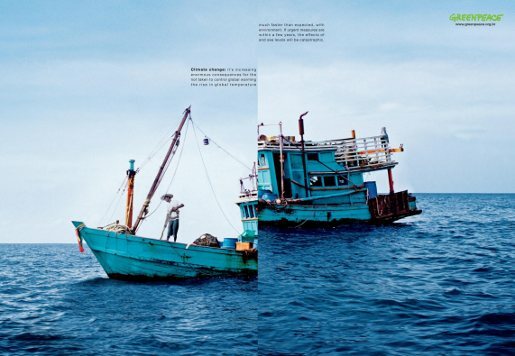 The campaign involved a photograph of a fishing boat spread over two pages, but mismatched. “Climate change – it’s much faster than expected, with increasing enormous consequences for the environment. 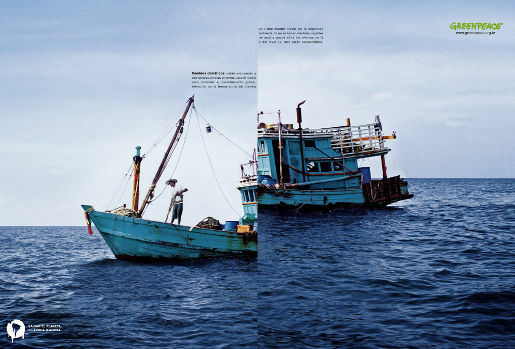 If urgent measures are not taken to control global warming within a few years, the effects of the rise in global temperature and sea levels will be catastrophic.” Continue below to view the ad in Portuguese and English. 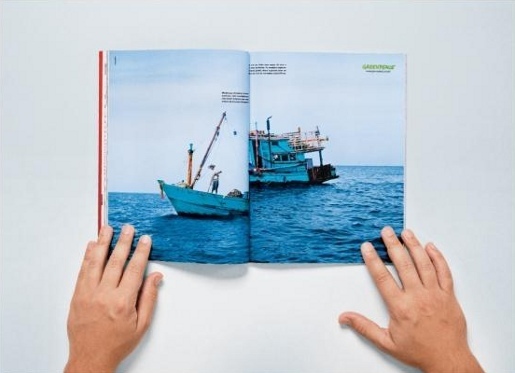 The Sea Level magazine ad was developed at Almap BBDO, Sao Paulo by executive creative director Marcello Serpa, creative directors Luiz Sanches and Dulcídio Caldeira, copywriter Cesar Herszkowicz, art director Marco Monteiro, and typographer José Roberto Bezerra.